In the mainstream media, we only occasionally hear about pay and conditions in textile factories in faraway places. When we do, it is because campaigners have disrupted shopping, or when there is a catastrophe that cannot be ignored. 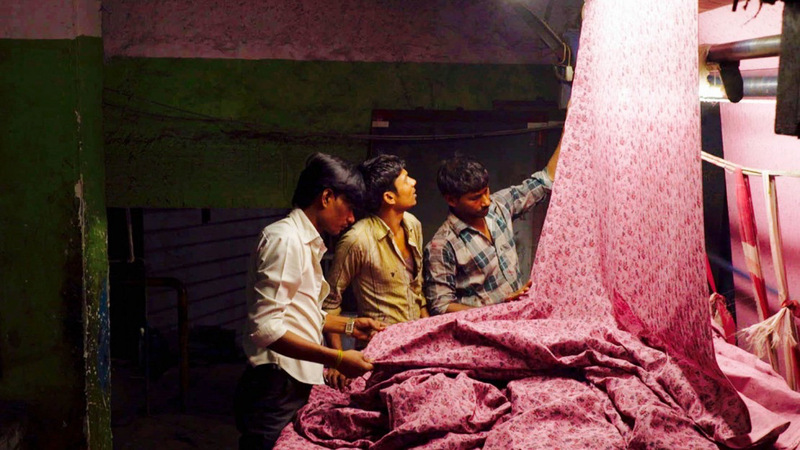 Over the past 50 years Gujarat has massively industrialized and, as a boy, debut director Jain often visited his grandfather’s textile factory there. The factory in this film is a different one, but family connections gave Jain privileged access. You have to wonder about his relatives’ responses to the eye-opening scenes he has recorded. The pay per 12-hour shift is the equivalent of three dollars. The workers themselves support unions, but say their leaders are targeted and murdered. A smart-arse, English-speaking company director, remarks that if his workers earned more, they would only spend it on alcohol. This is an unforgettable fly-on-the-wall doc that simply follows, shows and listens, and focuses vividly and eloquently on faces. It’s about exploitation that is not a million miles away, but in our high streets and warehouses. Syrian refugee gets Finnish welcome in Kaurismäki’s offbeat, downbeat and oddly uplifting film. There won’t be many comedies about the distress and hardship Syrian refugees face. This, like Kaurismäki’s previous film (Le Havre), has a local middle-aged man shelter a young person who arrives, unlawfully, by boat. More downbeat, droll and sunless, The Other Side of Hope features Wikström, a Finn who manages a run-down Helsinki restaurant. Wikström hides and finds work for Khaled, whose family, apart from his sister, have died in the bombing of Aleppo. It’s an odd film – all Kaurismäki’s films are. Austere, and about humdrum and everyday solidarity, the focus is on people whose hearts are in the right place. Wikström’s chef and waiter, who have as much enthusiasm for their work as potatoes, try to hide from him the startled-looking dog who lives in the kitchen. This is a decidedly un-bourgeois world of scruffy dress, workers’ uniforms, odd haircuts, gloomy 1960s interiors, and, popping up everywhere, buskers, blues and rock’n’roll bands. The world is run by the wrong people. There are immigration board officials who decide that Khaled is not at risk in Syria and to send him back on the first plane, the next morning. Or the leather jacketed ‘Finnish Liberation Front’, who are prevented from setting Khaled alight by a group of rough sleepers. 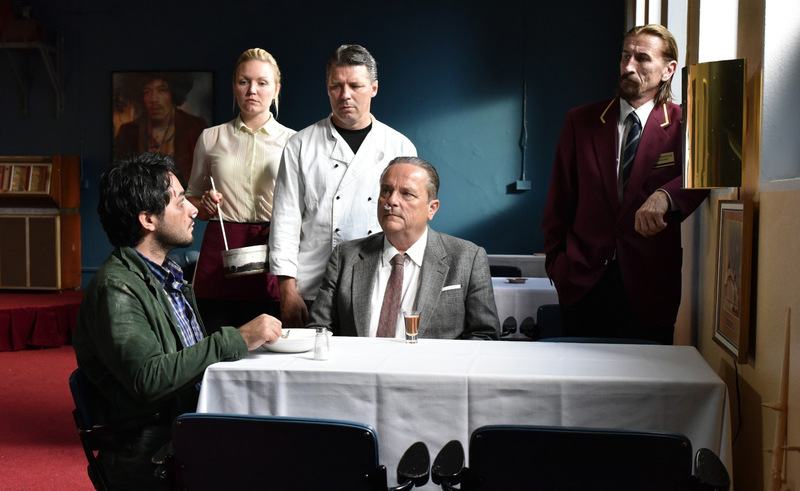 Offbeat and downbeat, sober and uplifting, enter the Kaurismäki universe. Absurd, clearly, but with the respect and compassion to suggest another is possible.